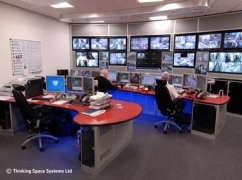 About Thinking Space Systems Ltd. - Products, News and Contacts. 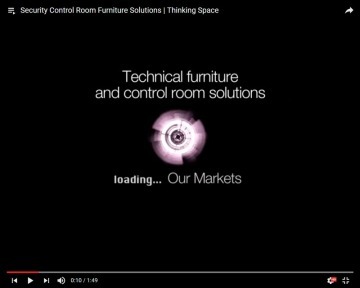 Thinking Space Systems Ltd is a leading manufacturer and global supplier of high quality technical furniture. 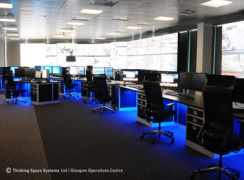 Thinking Space offers fully integrated modern solutions including project management and a free consultation and design service for CCTV control rooms, concierge control suites, alarm receiving centres, security desks and command and control suites. 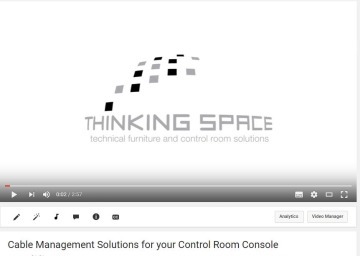 All Thinking Space furniture and control room designs comply with ISO 11064 and BS 5979 (for ARC’s) and uses the exclusive CORE Assembly system for its furniture framework. 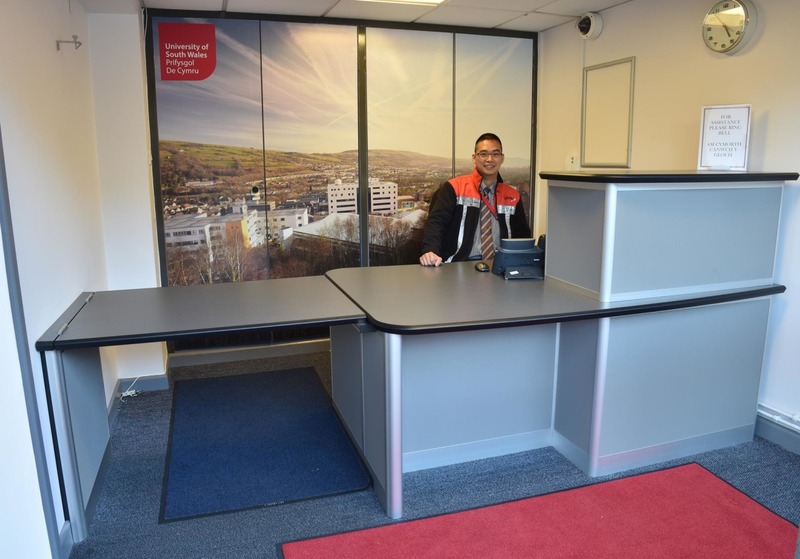 Thinking Space has recently helped to improve the working environment of security staff, with custom designed furniture for the new security suite at the University of South Wales. 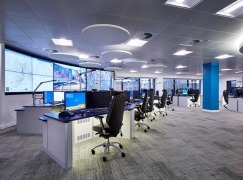 An array of custom designed control room consoles installed en-mass for Bristol City Council has successfully been completed by Thinking Space. 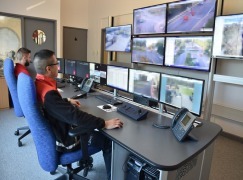 Thinking Space has recently completed a control room console installation in the USA. 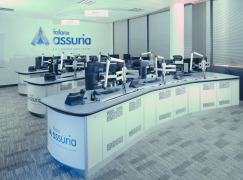 Thinking Space Systems recently installed control room furniture at a brand new Cyber Security Operations Centre for cyber specialists Falanx Assuria. 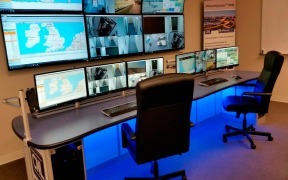 With the university campus due to accommodate Team GB in summer 2012, the management team decided to upgrade their security systems, including the refurbishment of their control room. 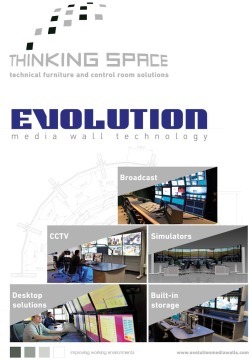 The Evolution Media Wall is a large screen mounting system developed by Thinking Space Systems. 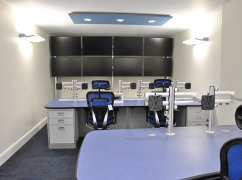 Build completely from aluminium extrusions, the Evolution system is an aesthetic solution for domestic, commercial and professional environments. 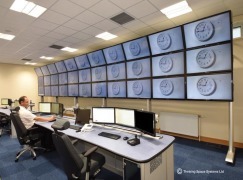 Offering a flexible design for configurations to suit your needs, they offer a free design service for customised solutions as well as a standard range of configurations for speedy ordering. 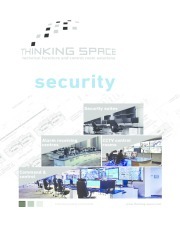 The latest sector specific brochure gives site examples, company information, products and services offered by Thinking Space Systems. 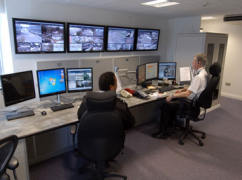 We design, manufacture, fit-out, install, project manage and deliver outstanding technical furniture for your CCTV/security control room. 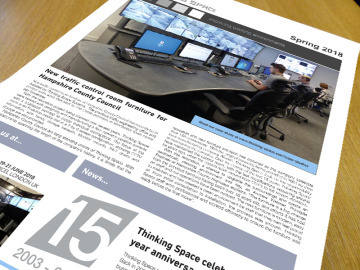 Thinking Space Systems latest newsletter features console projects completed, as well as other news stories in the companys' portfolio. 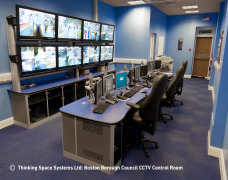 FOR MORE INFORMATION CONTACT THINKING SPACE SYSTEMS LTD.